Note 1: This game was played on a PC Engine home console. The console was connected to 32-inch HD tv with AV cables (red, yellow, white). Note 2: I played this game with the standard 2 button PC Engine controller, and there appears to be no way to Pause the game when playing with this controller (that I could determine). Therefore, some of the pictures I took required me to use the Freeze button on my tv remote control, which slightly blurs the images of the sprites and words on screen. The hu-card for this game is slightly bigger than most PC Engine games. Quick History: Street Fighter II: Champion Edition was released for the PC Engine in Japan in 1993. 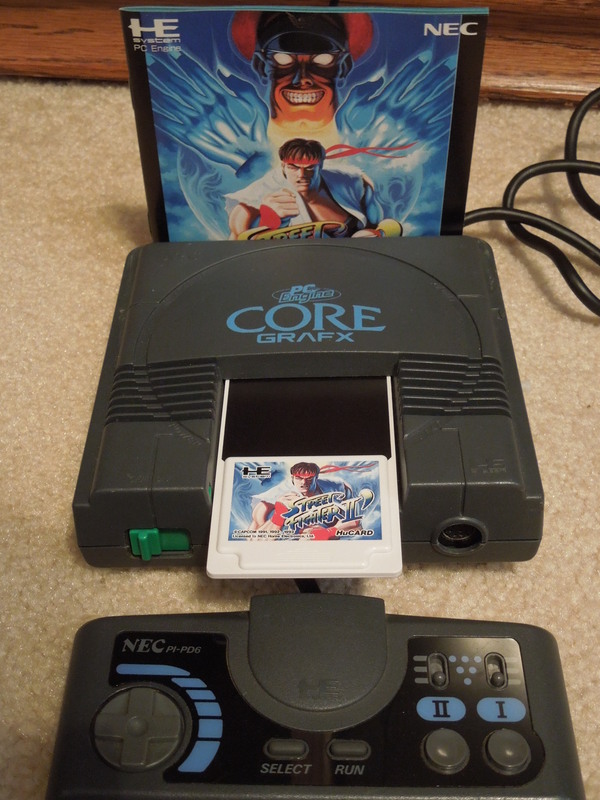 While many versions of Street Fighter II were released in the United States for the Super Nintendo, Sega Genesis, and other gaming systems, the Turbografx 16 (the U.S. version of the PC Engine) never received this game nor any version of Street Fighter II. This Japan-exclusive PC Engine game is a (not arcade perfect) port of Street Fighter II: Champion Edition, the arcade game, which was released in 1992. Unlike follow-up games in the Street Fighter series, this PC Engine version does not include any ‘turbo’ features (speed-ups in gameplay). Rather, it is intended to purely re-create the experience of playing the original arcade game. Characters and Issues with Names: SFII: Champion Edition includes 12 selectable characters from across the globe: Ryu, Ken, Chun Li, Dhalsim, Blanka, E. Honda, Zangief, and Guile. 4 boss characters – M. Bison, Balrog, Sagat, and Vega are also selectable. While many people are familiar with Street Fighter II, a lesser known fact is that the names of 3 of the 4 boss characters are switched from Japan to the U.S. 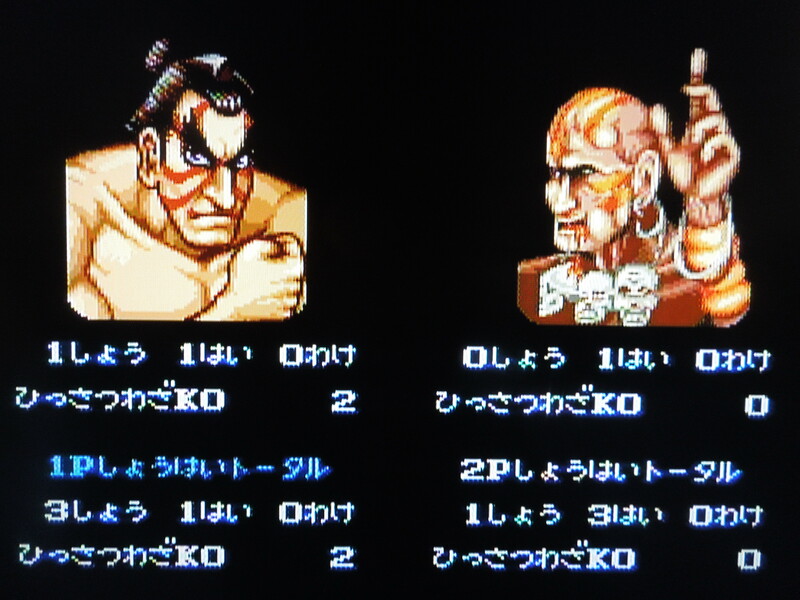 The boxer character in Japan is known as M. Bison, but his name was changed to Balrog in the U.S. 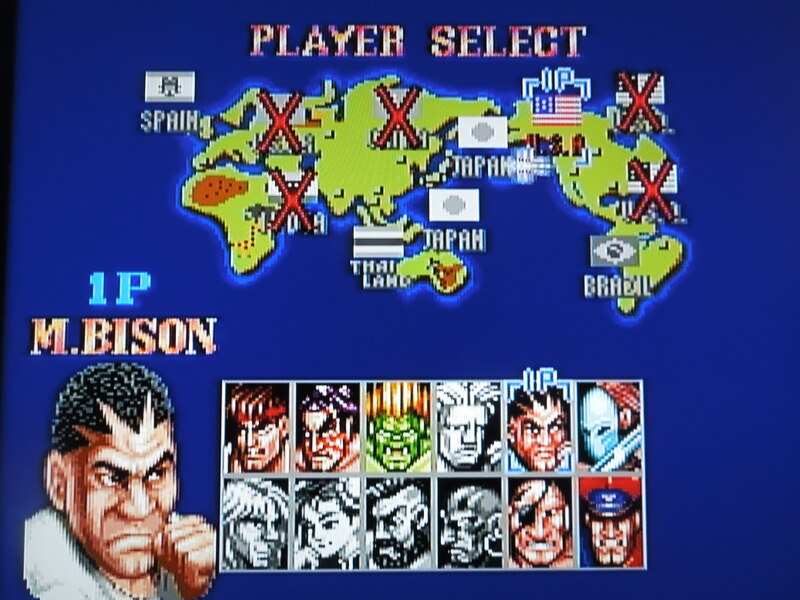 In Japan, the character of M. Bison bears a striking resemblance to real-life U.S. boxer Mike Tyson, so the boxer’s name needed to be changed to avoid any legal trouble before being released in the U.S. So, the names of 3 characters were swapped around for the U.S. releases of all Street Fighter II games. 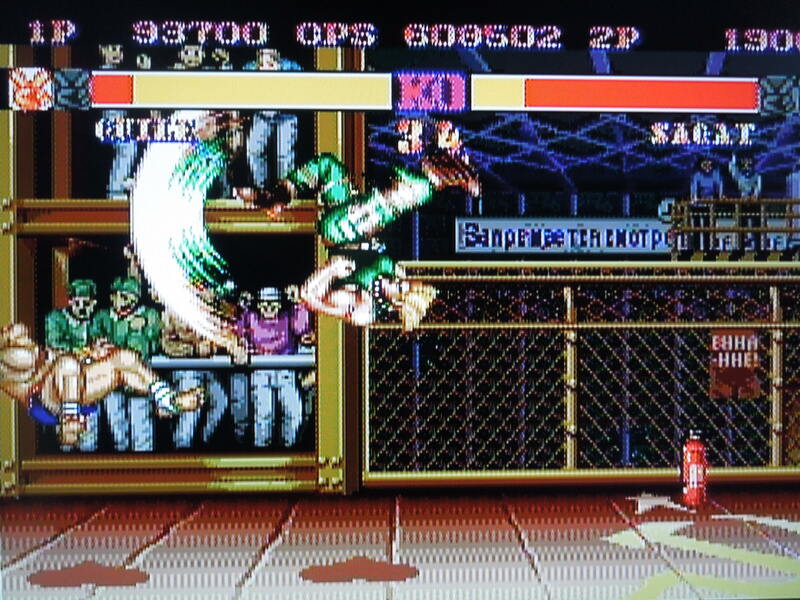 On this PC Engine hu-card version, however, the characters retain their original names – the boxer is M. Bison, the mask-wearing cage-fighter is Balrog, and the evil final boss is Vega. The bosses in this version all have their original names. Controls: I played this game using the standard PC Engine controller, which has a total of 4 buttons – Select, Run, II, and I. While many reviews (and even the game manual) recommend playing with a 6-button controller for the optimum experience, I had no problem playing and mastering the game with the standard controller. Pressing Select changes the mapping of the 3 attack buttons from punch to kick, and back again. The Run button is weak punch or kick, button II is medium punch or kick, and button I is strong punch or kick. You can change whether you want your character to kick or punch on the fly, anytime during a match. The Sega Genesis version employed a similar style on its 3-button controller. While many might not like having to swap between kick and punch buttons, I actually found it to be a somewhat different and enjoyable experience – it added a new level of challenge, but wasn’t as bothersome as I’d read about in other reviews. As far as pulling off special moves, everything worked flawlessly – great control. Playing the game with the standard PC Engine controller is a different experience, but not difficult. Sound, Colors, Music: As far as comparisons to other gaming systems (like the SNES and Sega Genesis), I can’t give an adequate list of ‘better than,’ ‘worse than.’ What I can say is that everything looks and sounds great. The only Street Fighter II game I’ve played much of over the years is Street Fighter II: The World Warrior for the SNES. Now, compared to that particular game, this PC Engine hu-card version is far better for its character selection and the ability for 2 players to actually select the same characters for VS. The music, sound effects, and colors all sound and look quite comparable between the SNES game and this PC Engine game (I’m sure there are websites that do a great job of analyzing the differences in colors and sounds between these versions). The music is not quite as good as what the SNES can produce. I didn’t notice any absence of sound effects or voices in the PC Engine game, either. The game keeps up with your win/loss stats during 2 player VS.
Pausing the game? I could not figure out if this is possible with the standard controller. 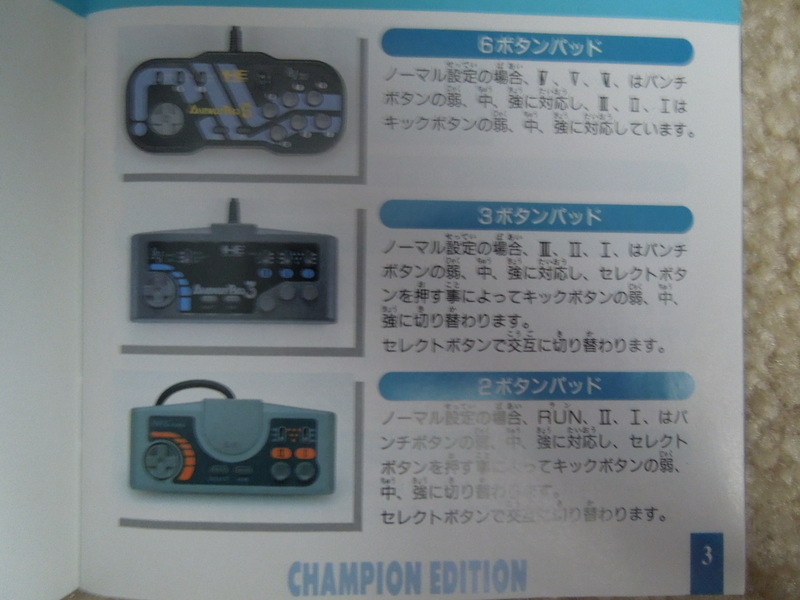 In most PC Engine games, the Run button pauses the game, but here, the Run button is used for weak punch or weak kick. I tried using different combinations of buttons to pause, but nothing worked. If I had a controller that didn’t require the Run button to function as an action button, I suppose I could pause the game. UPDATE: I did recently discover that you can hold SELECT on the map screen between rounds to pull up the button configuration window. It will stay up until you select EXIT and move on to the next fight. While this isn’t as good as being able to pause in a match, you can at least take a break and not have to worry about playing through every match without stopping. 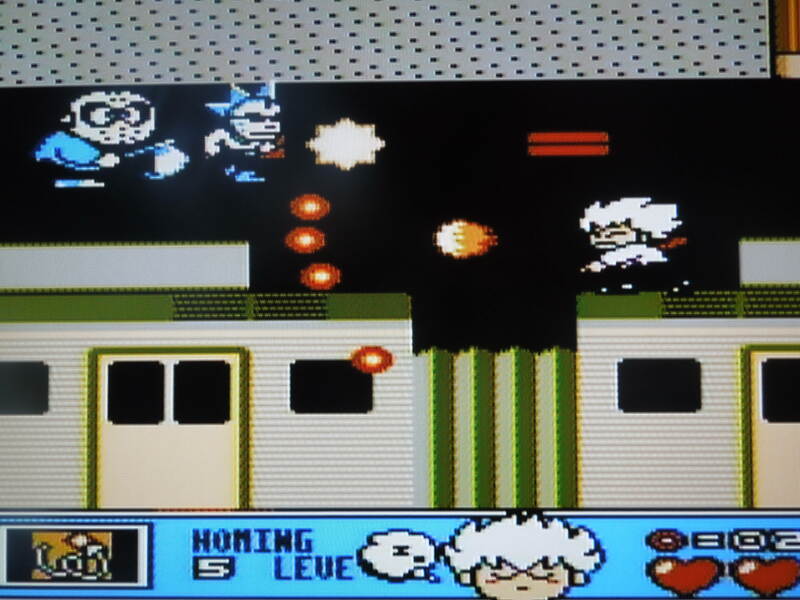 Missing scenes from the arcade version, SNES, or Genesis version: The intro and character bios that can be found in other versions of the game are not included in the PC Engine version. Language Barrier? No. You will see Japanese with the ‘winning’ quotes characters issue after matches, during the ‘endings’ for each character when you beat the game, and in the win/loss statistics of 2-Player Vs. Everything else, from character names, country names, and voice-overs, are in English. So, where can I find this game? It’s easy enough to find on eBay. If you want to play it on a U.S. Turbografx 16, you’ll need a system mod or an adapter that will allow you to play Japanese games on U.S. systems. Remember, whether you’re playing on a U.S. Turbografx 16 or a Japanese PC Engine, if you want to play with 2 players, you’ll need to buy a multi-tap, as the system for either country only has 1 controller port. You can also play the rom on a computer emulator. Each character has a unique ending. Conclusion: Street Fighter II: Champion Edition for the PC Engine is a great fighting game. If you’re interested in buying a PC Engine game console, this is one of the first games you should buy. This entry was posted in PC Engine - Street Fighter II: Champion Edition and tagged Street Fighter II PC Engine Review. Bookmark the permalink.